As proud sponsors of the PMI Queensland Chapter series, we invite you to the next Chapter event on Tuesday, 18th October in Brisbane for a night of networking and thought provoking engagement on Project Management. 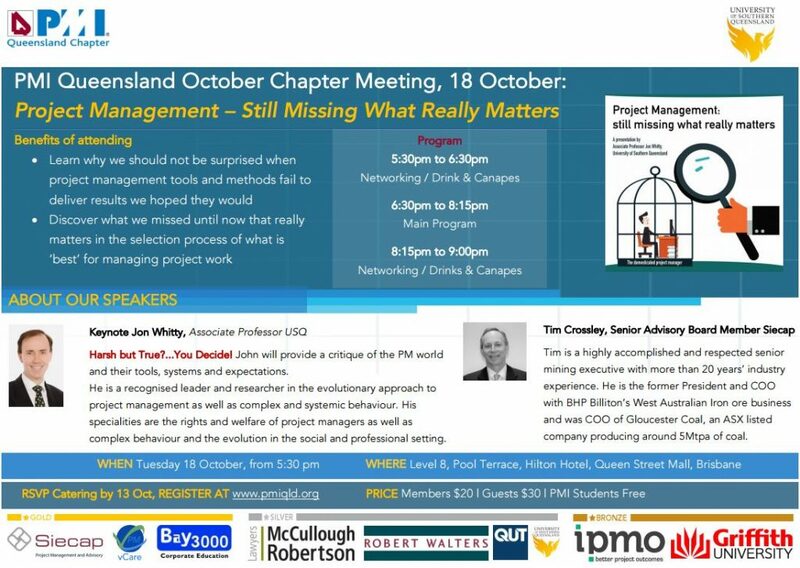 Keynote speaker Associate Professor USQ Jon Whitty will provide a critique of the Project Management world and their tools, systems and expectations and our Advisory Board Member Tim Crossley will provide industry insights. For more information and to register for the event visit PMIQ.